How can APIs be secured against unauthorized access? On-premise and cloud-based resource interfaces and APIs are, by default, vulnerable to attacks through a number of vectors and methods. A cloud identity and access management (IAM) system is instituted to differentiate intruders from legitimate consumers. 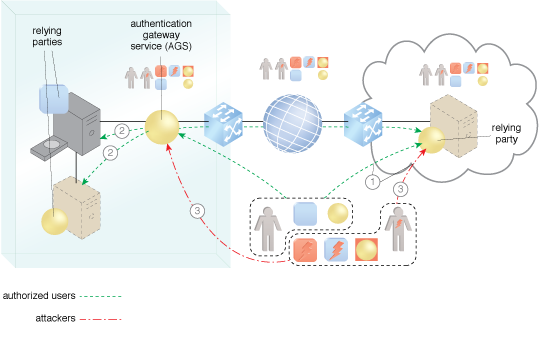 An authentication gateway service (AGS) and an IAM system are implemented to identify and authenticate legitimate consumers and grant them access, while denying access to intruders. The AGS authenticates cloud consumers for access to APIs.